Three Saltus Grammar School students have produced a music video designed to combat cyber-bullying, with secondary 8 students Kalia Michelle Steede, Sedona-Sky Duffy, and Selah Zyah Tuzo creating “The Bullying Movie” as an Information Communications Technology class assignment. The project has since become a resource at cybertips.bm, a Department of E-Commerce website that promotes the healthy, safe, and responsible use of technology and the internet. The students wrote the script, crafted the song, took the photos, and developed the sub-titles, and then created the video and produced it fully using their school resources. The result is a simple black-and-white clip that reflects the mood of the subject-matter and portrays plainly and directly the impact that cyberbullying can have on the lives of Bermuda’s youth. Detective Inspector Mark S. Clarke of the Criminal Investigations Department in the Crime Division said, “Unfortunately, our work and involvement indicates that it has reached Bermuda’s schools. A spokesperson said, “Cybertips.bm provides online safety tips to students, kids, tweens, and teens, and to parents, teachers, parent-teacher associations, senior citizens, and youth organizations across the Island. 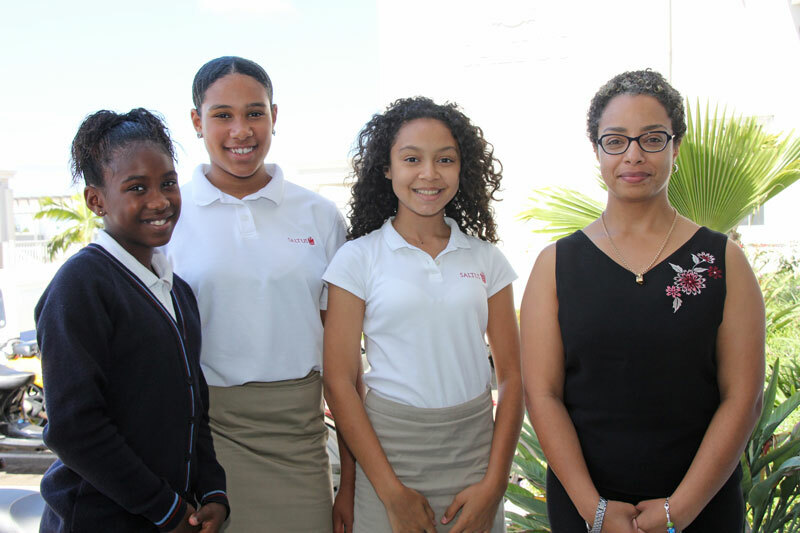 “The Cybertips team, which includes representatives from the Department of E-Commerce and the Bermuda Police Service, routinely visits schools to raise awareness around issues of concern and shares strategies to help the school communities deal with or avoid them. Specifically, the team makes presentations about the primordial importance of using the internet in a healthy way. “It promotes proper digital citizenship and tackles various topics including cyberbullying, sexting, fraud, predators, copyrighting, social networking, gaming, file sharing, and identity theft. “The Cybertips initiative, while focused primarily on the online safety of children and young students, remains an important resource for the community at large. The content is obtained from a variety of leading sources, including Common Sense Media and the Microsoft Corporation, in order to ensure that it is the most current and up-to-date possible. For more information or to watch the video, visit the CyberTips website.